This ” How To Start A Fashion Blog ” posts details how you can start a fashion blog in no time. This post contains affiliate links/ads. See disclosure policy. If you arrived at this post, I would assume that you are looking for a guide on how to create a fashion blog. If my assumption is correct, then, you are most certainly on the right blog post. Click here to start a blog on WordPress and you can have a blog for just $2.95/month instead of the regular price of $7.99/month. That's 50% off the regular price. Plus, you'll get a FREE domain and a 30-Day money back guarantee. Wow! That's a lot for $2.95/month. Use my tutorial (below) to create your blog in 15 minutes or less. Blogging has been one of the best things I have done in my life. I have only been blogging for over a year now, but the overwhelming support of the blogging community and my ever-increasing reader base have been my strength to continue blogging. To say the least, blogging has been a positive experience for me and I am really truly enjoying every minute I spend on it. A fashion blog is one of those niches in the blogging world that is a magnet of traffic. Why? It's because people like to become beautiful or maintain their beauty. Who doesn't, right? Let's put it this way, as long as there are new beauty products, there will always be fashion blogs. What made a lot of the successful fashion bloggers is not just their success in making money out of their blogs. 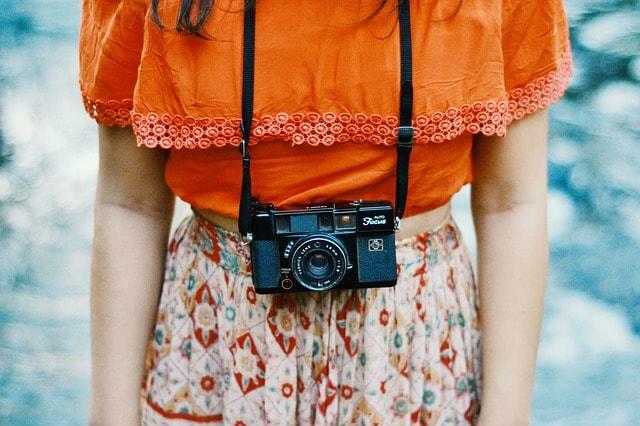 These fashion bloggers have the passion in what they do. They love what they do and they never get tired of bringing new ideas for their readers. If you are into fashion and you have the desire to make additional money or even a full-time income, then, I highly recommend you consider creating your own fashion blog. Some of my blogger friends have been invited to fashion shows, receive FREE products that they review, etc. Blogging is an investment that has paid me dividends multiple times over. It’s the gift that keeps on giving. It’s only April 2017 but my year-to-date income from blogging is over $24,000 already. I project that my income will be better in 2017 by 2 times or more. There's no better time to create your own fashion blog than now. Blogging can make you thousands of money each month and help others even in your own small ways. I love blogging because I get to share my thoughts and experiences on personal finance and I also earn money on the side. Sure, there is always a learning curve in doing something that you have never done before. But, everyone starts somewhere. A long time ago, those big fashion bloggers started from 0 traffic, $0 income, etc. There is money in blogging. If you have the passion, dedication, patience, discipline, and perseverance, your fashion blog can or will be successful. By now, you are probably asking or telling yourself how in the world would you start a blog especially when you don't know where to start. I will tell you that I have asked that question before. Lucky you because I made a tutorial that will help you establish a blog in 15 minutes or less. You can also sign up for a FREE Blogging course, which is valued over $400 and also gives you access to an EXCLUSIVE Facebook group dedicated to supporting bloggers and help them grow their blog traffic and income. Again, access to these course and group is FREE. I never expected I would earn money from blogging. It is a great feeling to know that I am able to share my experiences with other people even in my own small ways. Plus, I get to earn money as well. Now, you are probably asking the question “Where do I start?”. 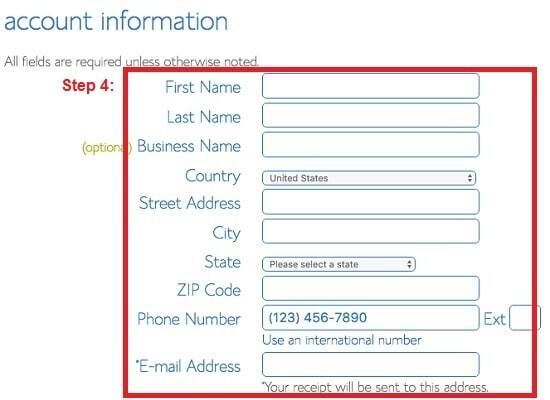 The answer to that is getting a domain with Bluehost. 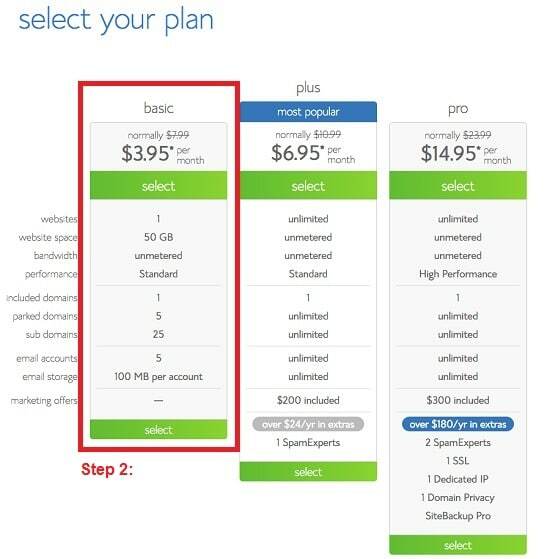 Why Bluehost? Bluehost is among the top web hosting companies for 2017. Be one of the few who can start a blog for a special price of $2.95/month instead of the regular price of $7.99/month. 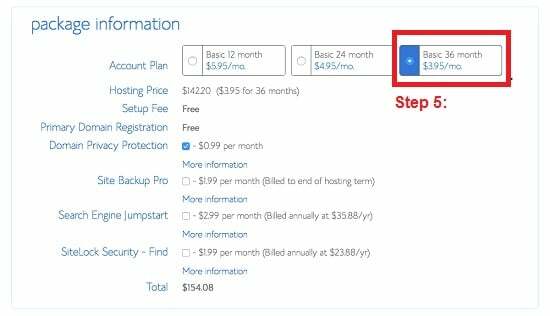 This is a special price I negotiated with Bluehost just for my readers. That's 50% off the regular price. Plus, you'll get a FREE domain and a 30-Day money back guarantee. Wow! That's a lot for $2.95/month. Really, you are saving money when you use my link even before you publish your first post. That's a best a way to start your blogging journey. You may be tempted to go for a FREE hosting such as Blogger.com. I highly suggest you not do that. There are a lot of reasons that you should use Bluehost over the FREE hosting sites. Why choose Bluehost over FREE blogging sites? Get a blog for just $2.95/month plus a lot of benefits. That's a cost of a cup of coffee, basically. Create your blog through WordPress, which is the easiest way to create a blog. Trust me on this. I knew nothing about creating a site but WordPress was there to help me. My blog was up and running in 15 minutes or less. 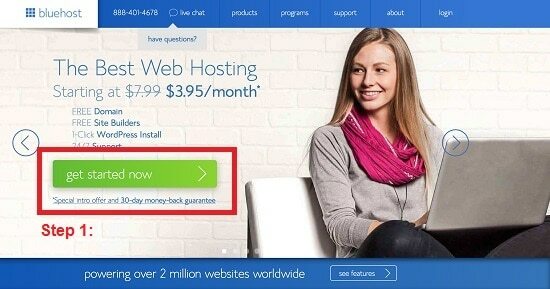 Easily monetize your site with Bluehost. The same reasoning cannot be said for FREE sites. Have a domain of yours that looks professional, something that you don't get from FREE sites. 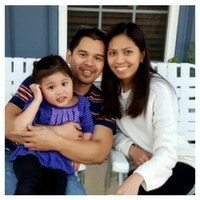 For example, my domain is www.thepracticalsaver.com. Had I chosen a FREE site, it would have been www.thepracticalsaver.freesite.com. Many advertisers prefer self-hosted blogs over FREE sites. Run advertisements, display affiliate links, and apply other monetization strategies little to no restriction. Many FREE sites don't allow these monetizing avenues from being displayed in the said FREE sites. Have a 24/7 support with Bluehost and for FREE. If you don't know the ins and outs of blogging and choose the FREE sites, you mostly out of luck when bad things happen. You are in good hands with Bluehost. Are you thinking of starting your own blog but afraid to do it? Or have a blog but your blog isn't going anywhere? Here are the instructions on how to create your fashion blog. It truly is so easy and it can be done in 15 minutes or less. Now that I’ve introduced you to Bluehost, you can now follow the steps (below) when you are ready to create your own blog. Go to Bluehost. Click “Get Started Now” button. Choose the option you like to purchase. Enter your domain name (or what’s called your blog name). 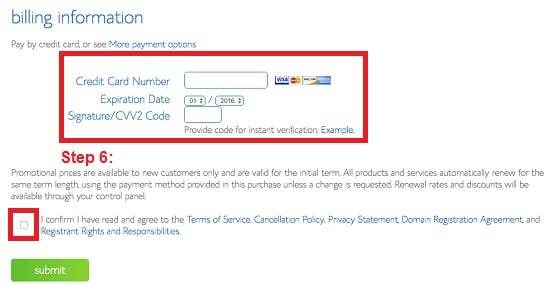 Enter both your personal and payment information. Confirm everything is correct. Select a package you wish to choose. If you are just starting your blog, the basic one (highlighted on the picture) is all you need. At this stage, all you need to do is pay. Register for a password, which you will use for login to your Bluehost account.
. Again, there is no cost to link your Bluehost account to WordPress. It’s all FREE and doesn’t take a brain surgeon to set things up and running. So, here we go. Once you received a welcome email from Bluehost, click on it and it will lead you to where you need to start to setup your WordPress. Once there, go to cPanel and locate MOJO Marketplace. Click the “One Click Button”. Click on the WordPress button, located on the next page under “Blogs”. Click on the “Start” button. Once an installation is in process, decide the domain you want to install WordPress on. You will be taken to the “Advance Options”. In there, create your WordPress website username and password. Once your blog is set up, the next thing you need to do is to find the perfect theme for your blog. A theme is the overall look of your blog. Most of the fashion bloggers tend to stick with a minimalist type theme because they want to accentuate the colors of their fashion images. Here are some good layouts or theme for fashion blogs. Some themes are FREE and some cost money. When you are starting, I recommend going for the FREE one. This way, you can have a feel on how blogging works. Once you know more about WordPress, then, it may be the time to switch to a paid one. One tip: Choose a theme that you like and resonates your taste. There are so many themes out there. I am honestly certain that you will find the one that's right for you. prior to using it, so, I had to do a ton of work to understand what WordPress has. Here are basic tips and tricks and terminology that can and will be valuable to you. Login. When you want to login to your WordPress account, always go to WordPress Admin Page. Posts. Posts are what you use to create your blog content. Posts are entries listed in reverse order, that is, new entries come on top. Categories. Categories are created as a way to group your own posts. In simpler terms, these are general topics for your site. These are your top-level ID on where your content falls under. For example, I wrote “How To Make Six Figures A Year”. This post falls under the Money Category. Tags. Tags are created to describe specific details about your posts. While the category for the sample post “How To Make Six Figures A Year” is Money, the tags are Finance, Income, Network, and Savings because these four words are the main focus in this specific post. Think of tags as site’s index words. Plugins. You’ll hear a lot about plugins as you go through the process of building your own blog. A plugin is a software that contains functions that can extend functionality or add features to your blog. Some of the plugins I use are related to email subscription, social media plugin intended for sharing your posts, and WordPress optimization. Widgets. I confused myself with plugins and widgets, at first. But they are different. Widgets are small blocks that perform specific functions. They are placed in your sidebars. For example, currently, I have social media plugin for subscription, search bar, and popular/latest/tags widgets on my sidebar. That's a good question. The answer to that is continuously tweaking your blog theme to suit your style. There are tons of tutorials over the web that can help you do that. Other people like me have been in your situation (i.e. a new blogger) and every and any questions you may have will probably or already have answers out there. Google will be your best friend. In addition to tweaking your site, you need to start writing your own content. Speak your mind. The most successful bloggers are those who are unique in writing and in content. You probably notice that I haven't said monetization, yet. That's because your blog needs to be up and running first for a few weeks or couple of months before you can start monetizing. Most advertisers like to see your contents and what you can offer. This is why I recommend that you focus on writing highly-valued blog posts. Don't just write because you need to fill in your blog with posts. Right with passion and substance. Lastly, I recommend that you take advantage of Pinterest. Pinterest is a game changer in terms of traffic. A majority of my traffic comes from Pinterest. Learn the ins and outs of Pinterest and I am certain that you will attract readers in no time. If you ever find yourself in any Bluehost or WordPress problem, please contact me. I am here to help you get your blog up and running. I may not respond quickly but I will respond to your inquiries as soon as possible. Contact me at [email protected].